If the recently-held conference by the IALS (International Association for Ladakh Studies) in Poland gave an opportunity to Ladakhi scholars, it also posed several challenges. A non-profit organisation, IALS was formed in 1987 under the initiative of the late Henry Omaston, a famous researcher on Ladakh from the University of Bristol, with the aim to provide a platform to those interested in the study of Ladakh. The association was first set up at Herrnhut in Germany during the third colloquium of Ladakh Studies, a discipline formed in the late 19th century by the representatives of the Moravian church. Henry Omaston served as the first secretary of IALS and also as the president of the Association from 1997 until his death in 2006. 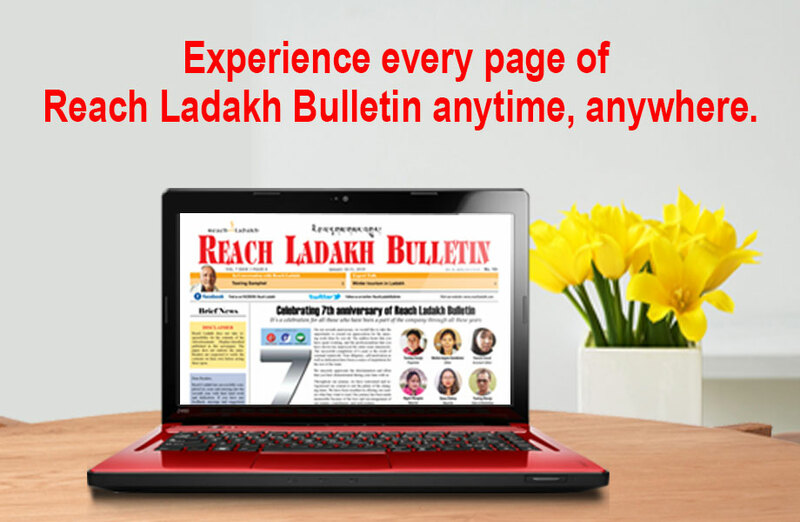 With the aim to provide a unique platform for the congregation of large heterogenic scholars and to disseminate information about the researchers on Ladakh, IALS organises conferences every other year, publishes a biannual journal, Ladakh Studies, conference proceedings, and also organises workshops, seminars and exhibitions. This year, the 18th colloquium of IALS was held at Bedlewo Conference Centre near Poznan, Poland, from 2nd May to 6th May. The conference was organised by Dr Rafal Beszterda and Dr Diana Lange, two of the senior and experienced members of IALS, in collaboration with the Board of Polish Academy of Sciences, Humboldt University, Berlin, and the Nicolaus Copernicus University, Torun, Poland. Although the conference provided unique opportunities for the scholars, there were many challenges and obstacles faced by the researchers, particularly Ladakhi scholars. This article highlights some of the significant opportunities as well as major challenges encountered by Ladakhi scholars. Opportunities: The conference was attended by scholars, young as well as experienced, with a diverse field of study and belonging to different areas, communities and countries across the world. Witnessing this unique amalgamation of scholars, everyone kept no stone unturned to grasp the opportunities it provided. Throughout the conference, an environment of positive interaction was observed wherein the scholars, particularly the young, got many opportunities to share and get shared different ideas, values, skills with experienced researchers. Undoubtedly, it was a great opportunity for the young Ladakhi scholars to meet, interact and learn from the senior and experienced foreign researchers like John Bray, Martin Van Beak, Bettina Zeisler, Sophie Day, Rafal Beszterda, Diana Lange and Blaise Humbert-Droz whose incredible researches on Ladakh have always been an inspiration for many. Secondly, for the scholars of Ladakh, the conference gave an opportunity wherein they came across and learn the diverse and more civilised culture of western countries within Europe. It helped boost their confidence, moral values and understanding of the culture, lifestyle and modern technologies of developed countries. It enhanced the level of understanding of their field of interest, research techniques and future opportunities. The colloquium also represented a significant platform for the conglomeration of different Ladakhi scholars doing research in different universities and institutes across the globe. Challenges: The major challenge Ladakhi scholars, particularly students, faced were the unavailability of financial assistance to attend the conference. At the time of invitation notice for abstract/papers, IALS announced to offer Euro 100 to ten candidates. Later on, one of the anonymous benefactors, who was also supposed to be a member of the IALS, agreed to sponsor Euro 500 for the two best papers among the Ladakhi scholars. Besides, IALS also offered 25 sponsored fee of Euro 140 each, of which 15 sponsors were reserved for participants from South-Asia including Ladakh. The offering of such financial assistance by IALS has been a positive gesture that has helped scholars, Ladakhi as well as non-Ladakhi, to make their way abroad to attend the conference. However, these financial assistances were meagre given the high cost of airfare and expensive accommodation and meals. Consequently, the result was that several Ladakhi scholars decided not to attend the conference. Initially, therefore, only five candidates from Ladakh planned to attend the conference, that too hesitantly. Finally, five more scholars managed to attend the conference whose travel costs were sponsored by Sonam Wangchuk, founder of SECMOL. Besides, given the internet connectivity problem in Ladakh for the entire months of winter, there were undesirable complications and challenges for the Ladakhi scholars regarding visa application and communication with the organisers. Solution: This kind of financial problem will continue to bother young Ladakhi researchers. A convenient solution is needed to ease such financial constraints. The IALS, under Dr Sonam Wangchuk, president, has made all the possible efforts to provide financial help to Ladakhi scholars. At the same time, given the limited budget of IALS and high expenses of the conference, it was not possible for the IALS to provide full financial grant. To overcome this crisis, IALS must come out with innovative ways to raise financial resources. Probably, a proposal of MOU (Memorandum of Understanding), with corporate groups, as suggested by Tsewang Rigzin, advisory committee member, at the time of conference meeting, may help IALS to raise funds for the conference. Secondly, IALS needs to encourage and honour the benefactors so that they continue their support in future too. Besides, as discussed in the IALS meeting, the journal, Ladakh Studies, must be commercialised and broadened, and for which the standard of the journal needs to be upgraded. This is possible only if Ladakh Studies goes online as a well-researched journal instead of being a newsletter type, as at present.